Google Fi has always been a tempting deal for cell service, with the big caveat that it works only on Google-sold phones. That was a deal breaker for a lot of people. However, starting today, 'Project Fi' is expanding beyond phones like the Pixel 3 and the Pixel 3 XL, including launching on Apple's iPhone, Samsung phones, OnePlus, LG, and Moto handsets, according to Google. 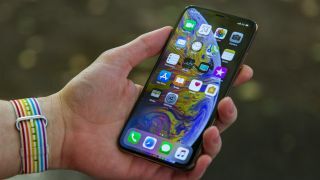 That's good news if you want an easy-to-understand phone plan in the US and have strong T-Mobile, Sprint, and US Cellular signal in the areas you frequent. Google Fi is an MVNO, so it rides on the backs of these three carriers. All of this means you can save money through Google Fi with a cheap plan after buying that new, pricey Samsung Galaxy Note 9, iPhone XS Max, or One Plus 6T. Google Fi is described as "a bill that’s fair and flexible" on its official website, and that's true if you compare it to other US carriers with purposely confusing plans and a long list of 'incentives' with fine print. Google Fi costs $20 per line for unlimited calls and texts (and $15 for each additional person on your plan), and then it's $10 per every 1GB of data used. Don't worry, there's a cap of $60 for data if you go beyond 6GB. Google calls this 'Bill Protection', but do know that data is slowed (but still free) for the rest of the month if you go use over 15 GB on your plan, according to Google. Other perks include international coverage outside of the US in 170 countries and territories, spam protection, and data-only SIMs for other devices, perfect for iPads. On other carriers, all of these features can cost extra. Google Fi moving onto new, even more popular phones, is a big step for fairer cell phone plans in the US. Google is offering up to $999 in travel gift cards with the purchase of a phone and trade-in credit if you turn in an old device.